Get ready to rock steady, do the ska, and skank to the sounds of reggae from yesteryear, at Australia's premier vintage Jamaican music night. 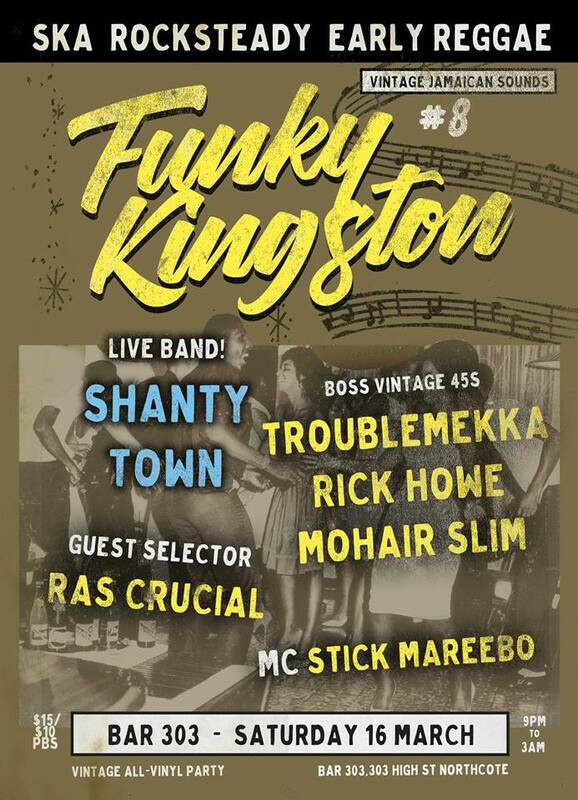 For the final installment of Funky Kingston at Bar 303 (stay tuned for details of upcoming movements), residents Mohair Slim, Rick Howe and Stick Mareebo will be joined by local 7-piece reggae and ska band Shanty Town, plus veteran reggae selector Ras Crucial of Chant Down Sound, and the always deadly Troublemekka. 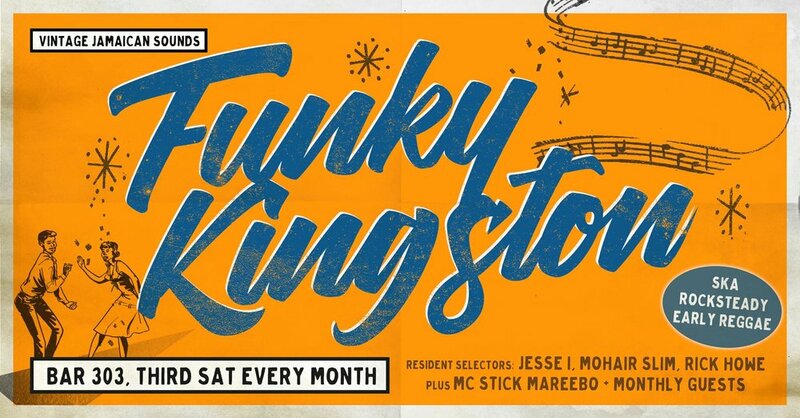 Funky Kingston #8 takes place on Saturday 16th March at Bar 303 (303 High St, Northcote). $15 at the door. 9pm-3am.